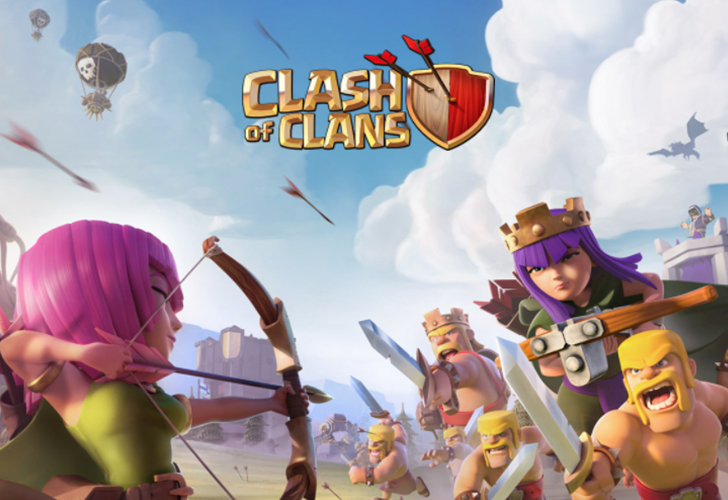 Clash of Clans was introduced to the world August 2, 2012 for iOS and Android devices. Soon after it's release it's immense popularity took the world by storm and millions of user found themselves playing the game. I am one of those users. The primary objective of the game is to mine resources to pay for constructing a village and building up your defense systems to ward off attackers. While that's a mouthful and may sound complicated, the game is quite simple. A secondary objective of the game is to attack other players villages to steal their resources and use those resources to build up your own village paradise. So in short, it's all about the resources: Gold, Elixir and Dark Elixir. Along with allowing you to build and upgrade defense systems, resources allow you to train troops and buy decorations. As you get started, you'll find that building and upgrading your village is fairly easy and quick at first. As your village grows and your defenses upgrade to higher levels, the time it takes to finish construction and the resource costs to build them increases exponentially. My advice is to be patient! The game itself preys on peoples impatience and those who succumb to it find themselves shelling out real money for gems to speed up the process. That's perfectly fine to do, as it helps pay the bills for Supercell to keep the game fresh and upgraded for all of us to enjoy. However, you may find yourself spending hundreds or even thousands of dollars on a game if you're not careful. "My advice is to be patient!" Staying on the topic of gems, my suggestion is to first spend the gems you start with on another builder. This will enable you to construct more defenses and/or buildings at a time. My other suggestion is to save your gems and only use them when necessary. try not to get caught up in using gems to complete construction quicker or filling the void of the lack of resources you have to build a new defense. Again, be patient and try your hand at attacking another players village to grab more resources. Speaking of attacking, another mode this game offers is Clan Wars! To simplify things a bit let's start at the beginning of being in a clan. Once you start the game you'll see a destroyed clan castle within your village. Once you fix it, you have the option of either creating or joining a clan. Once you're in a clan, consisting of a few or more people, you may join a clan war. You'll be matched to a clan of similar skill and get two chances to attack two different opponent bases. The winning clan walks away with a boat load of resources and the losers walk away with chump change. It's quite fun and well worth checking out! Visit Freeappsking.com to read more about Clash of Clans! DOWNLOAD CLASH OF CLANS FOR iTUNES! DOWNLOAD CLASH OF CLANS FOR GOOGLE PLAY! 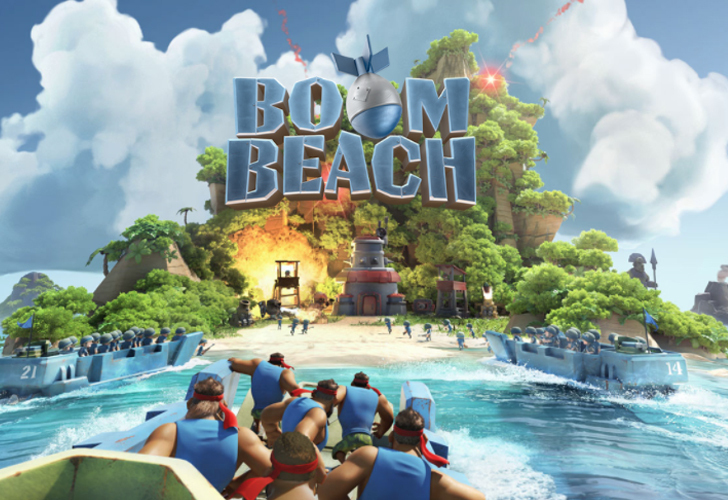 Boom Beach was introduced to the world on November 11, 2013, over a year after Clash of Clans dominance. I personally downloaded it on the day it was released and have been playing it ever since. 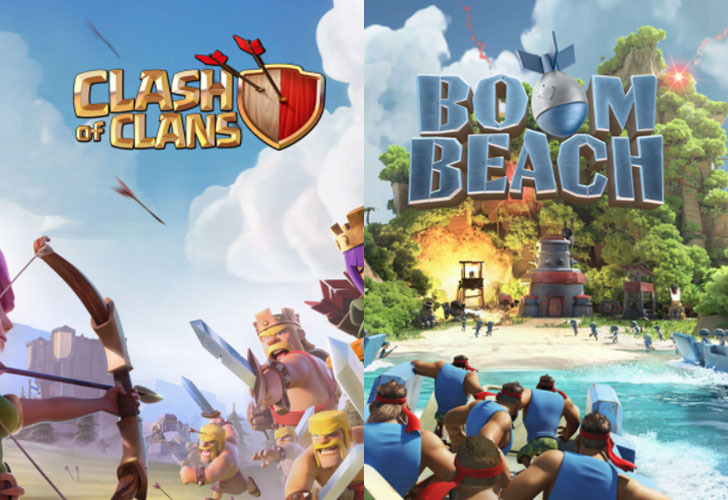 Supercell knew they had a platform that was working with Clash and managed to create a unique game built around that same idea with Boom Beach. The primary objective of the game is much like that of Clash of Clans, to mine resources to fund the construction of a thriving village with upgradeable defense systems. However, Boom Beach differs because of the theme the platform is built around, which is a militaristic style of play. You'll also find that all of your opponents bases are constructed on islands, a stark difference between the two games. Because of the watery world of small landmasses, one of which is yours, you are equipped with a gunboat and fleet of landing crafts holding your troops. This form of travel allows you to attack any opponent within your visible map area. Just like Clash of Clans, building and upgrading your village is fairly easy and quick at first. As your village grows and you upgrade your defenses, the cost and time for construction increases exponentially. Again, they prey on gamers impatience, hoping everyone buys gems with real money. Will you? A unique addition this game offers, among others are the statues built within your village, which boost a number of things including but not limited to: Gun Boat Energy, Troop Health, Troop Damage, And Resource Rewards. DOWNLOAD BOOM BEACH FOR iTUNES! DOWNLOAD BOOM BEACH FOR GOOGLE PLAY! Though I could get into more details about both games, I encourage you to download them both and play them! Here's why. Their gameplay is very addictive and you can either play for a few minutes or a few hours, depending on what you're goals are. They allow you to construct thriving villages with unique defense systems and mine resources to upgrade your bases. Raiding opponent bases and growing your resources becomes addicting. On the other hand logging in and seeing your village wiped out and resources stolen keeps the game interesting, especially when you get revenge! If you're still not sold on these FREE apps, just simply check them out, you'll thank me (hopefully). WANT MORE? CHECK OUT FREE APPS ON AMAZON FOR KINDLE!